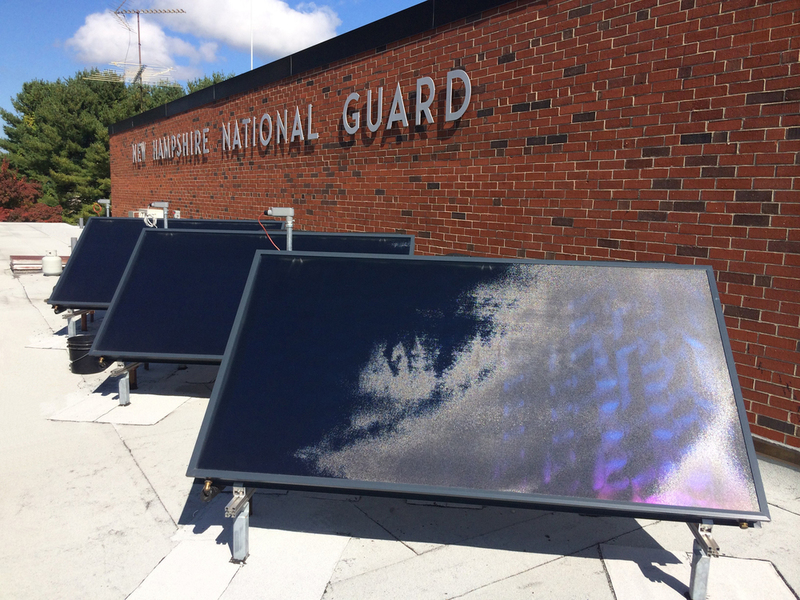 The NH Army National Guard (NHARNG) Franklin Readiness Center was a phased project that included site infrastructure improvements and building modernization. Building modernization included energy conservation measures and security improvements. Upon completion of the initial site improvements phase, NHARNG issued a task order to AECm for all building improvements including high-efficiency HVAC systems, DDC systems, interior and exterior lighting systems, roofing systems, and envelope systems. Renewable energy systems include a solar domestic hot water supply system with a roof-mounted thermal collector. Envelope improvements included a new curtain wall system at street elevation, insulation, air-sealing, and replacement windows. The curtain wall was designed in accordance with UFC standards for blast protection and modern energy code standards. AECm coordinated all exterior renovations with the NHARNG Historic Preservation Officer and the State Historic Preservation Office (SHPO). Interior finishes included polished concrete flooring, a complete kitchen renovation, office renovations, and gymnasium renovation. Part of the initial planning phase AECm completed an energy assessment of the building including HVAC, envelope, and lighting. This included developing a computer energy Model (eQUEST) to create a baseline energy consumption, analyze energy efficiency measures (EEMs), and to complete post-construction measurement and verification (M&V) of the EEMs. Design and Construction Administration was coordinated with the NHARNG Facilities Engineering group and the NH Bureau of Public Works (BPW).